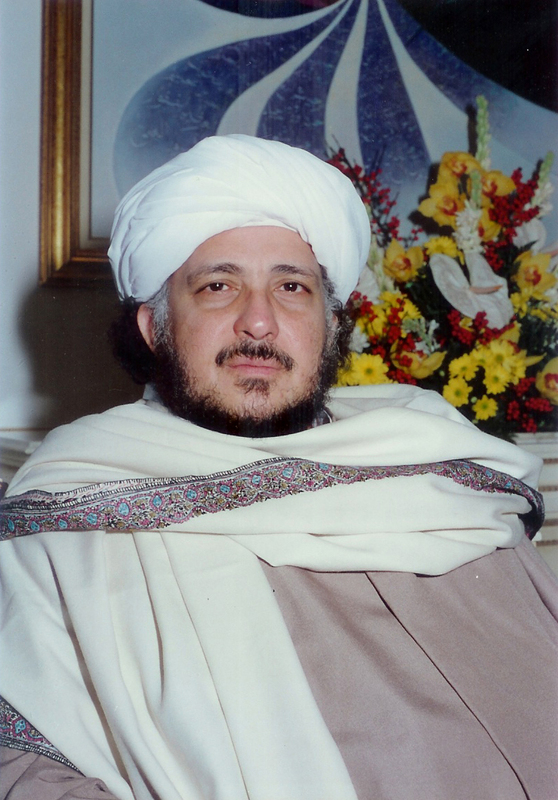 Shaykh al-Sharif Al-Sayyid Muhammad al-Hasan ibn Alawi ibn Abbas ibn Abd al-Aziz al-Maliki al-Hasani al-`Idrisi al-Makki (1944–2004) was a prominent Sunni Islamic scholar from Saudi Arabia. Muhammad Alawi al-Maliki was born in Mecca to a family of well known scholars who, like himself, taught in the Sacred Mosque.Five of the his ancestors have been the Maliki Imams of the Masjid al-Haram of Mecca. His grandfather, al-Sayyid Abbas al-Maliki was the Mufti and Qadi of Mecca and the Imam and Khatib of Masjid al-Haram. He held this position during the Ottoman then Hashemite times, and continued to hold it after the Saudi Kingdom was established too. He taught the various traditional Islamic sciences in the Masjid al-Haram of Mecca for nearly 40 years. With his father`s instruction, he also studied and mastered the various traditional Islamic sciences of Aqidah (Islamic theology), Tafsir (Qur`anic exegesis), Hadith (Prophetic tradition), Seerah (Prophetic biography), Fiqh (Islamic jurispudence), Usul (origins and fundamentals), Mustalah (hadith terminology), Nahw (Arabic grammar), etc. Scholars of Mecca, as well as Medina, all of whom granted him full Ijazah (certification) to teach these sciences to others. Some of the scholars from whom he obtained ijazahs and chains of transmission from include: His father, Shaykh al-Sayyid `Alawi ibn `Abbas al-Maliki al-Hasani, Shaykh as-Sayyid al-Habib Ahmad Mashhur TaHa al-Haddad, Shaikh Hasanain Makhlouf, Shaykh Muhammad Hafidh al-Tijani, Shaykh Amin Kutbi, and numerous others. His brother, Sayyid Abbas & Sayyid Muhammad Abd al-Hasan is also a learned scholar but is better known for his beautiful voice and as the topmost Qasidah reciter of Saudi Arabia. After finishing his traditional education in his hometown of Makkah, he was sent by his father to study at Al-Azhar University of Egypt. He received his Ph.D. from the Al-Azhar University at the age of 25, making him the first and youngest Saudi to earn a Ph.D. from there. His thesis on Hadith was rated excellent and highly praised by the eminent Ulama (Islamic scholar) of the university at that time, such as Muhammad Abu Zahra. By the age of 15, the al-Maliki started teaching Hadith and Fiqh in the Masjid al-Haram of Makkah to fellow students, by the orders of his teachers. Al-Maliki, like all traditional Shaykhs, and like his ancestors before him, taught a number of students at his own residence, providing them with food, shelter, and learning material free of cost. These students usually stayed with him for many years, learning the various branches of Islamic knowledge, then return to their lands. Hundreds of his students have become savants of Islamic knowledge and spirituality in their own countries, particularly Indonesia, Malaysia, Egypt, Yemen and Dubai. After returning from the Al-Azhar University he was an appointed professor of Sharia at the Umm al-Qura University in Mecca, where he taught from 1970. In 1971, after his father`s death, the scholars of Mecca asked him to accept his father`s position as a teacher in the Masjid al-Haram, which he did. Thus, he sat on the Chair from which his family had taught for more than century. He also taught in the Al-Masjid al-Nabawi in Medina occasionally. His lessons were the largest attended lessons in the Two Masjids. 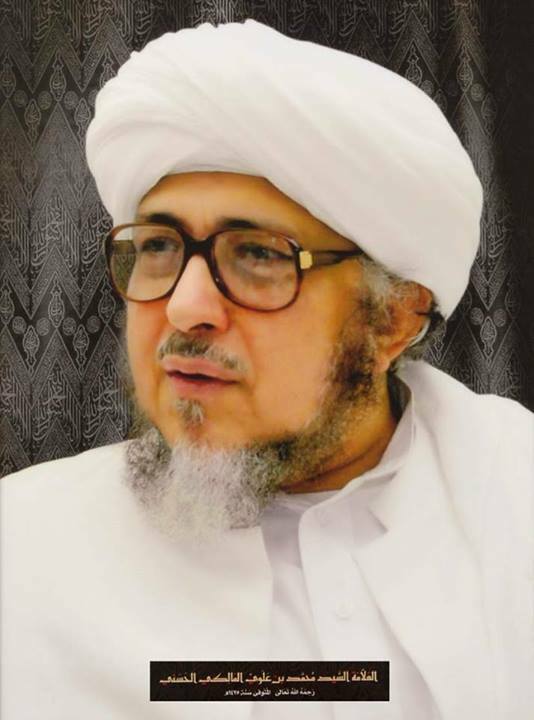 His famous students include his son Al-Sayyid Ahmed Bin Muhammed Bin Alawi Al Maliki who still teaches at his family residence in Mecca everyday, Al-Sayyid Abdullah Fad`aq another Famous Saudi Sunni scholar based in and teaches at his residence in Jeddah, Habib Ali al-Jifri and Habib Umar bin Hafiz. In the early 1980s, he relinquished his teaching position in the Umm al-Qura University as well as his ancestral chair of teaching in the Masjid al-Haram, due to the Fatwās of the Council of the Senior Scholars of Saudi Arabia headed by the late Mufti Ibn Baaz, who considered his beliefs to be in violation of the purity of the Monotheistic belief (Tawhid). Shaykh Saalih Aal-Shaykh, the incumbent Minister of Islamic affairs authored a book entitled "Haazihi Mafaahimuna" [these are our views] in which he attacked the beliefs of the Sayyid, pronouncing him to be deviant and misguided. The book was in fact a rebuttal of Sayyid Al-Maliki`s book: "Mafaahim yajib An Tusahhah" [Views that must be corrected]. From that time until his death in 2004, he taught Hadith, Fiqh, Tafsir and Tasawwuf at his home and mosque on al-Maliki street in the Rusayfah district of Mecca, and his public lessons, between Maghrib and Isha`, were attended by no less than 500 people daily. Many students from the University used to attend his lessons in the evenings. Even the night before he died, his lesson was well attended. Hundreds of students from all over the Islamic world benefited from his lessons in the Masjid al-Haram Makkah and many hold key religious positions in their lands today. He was also nominated as the head judge at the international Qira`at (Qur`anic reading) competition in Mecca for three consecutive years. He died in 2004 and was buried in Mecca. After his death, high Saudi dignitaries made widely publicized condolence visits to his family. Crown Prince `Abd Allah (the future king) was quoted as stating that al-Maliki "was faithful both to his religion and country"as one western journalist noted, "the rehabilitation of his legacy was almost complete." Al-Maliki was a prolific writer and has produced close to one hundred books. He has written on a variety of religious, legal, social and historical topics and many of his books are prescribed textbooks in Islamic institutes around the world.